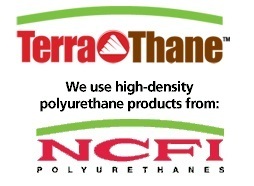 We use the TerraThane™ product line from NCFI Polyurethanes. TerraThane™ is specifically designed for Geotechnical applications, such as concrete lifting and leveling, poly back-fill, rock grout, void fill, undersealing, polyurethane grout, crack & joint sealants, and protective coatings. 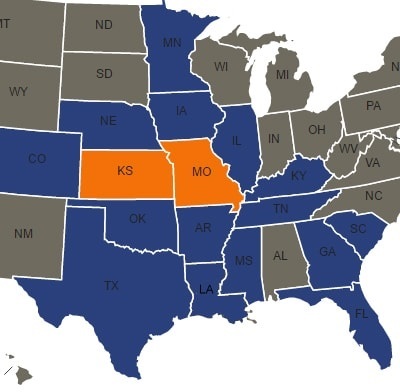 Complete technical data on these products can be found below. Concrete Lifting, Void Fill, And Undersealing 24-003 is a 3.0 to 4.0 lbs per ft3 density, plural component, polyurethane foam designed for concrete lifting and void filling applications. This system is hydrophobic, making it ideal for applications where water may be present under or around a concrete slab. This system offers excellent compressive and tensile strength values (based on ASTM test methods) and is highly resistant to chemicals and solvents. 24-486 is a 4.0 lbs per ft3 density, plural component, polyurethane foam ideally suited for concrete lifting and void fill applications. This system has excellent compressive and tensile strengths (based on ASTM test methods) and is highly resistant to chemicals and solvents. 23-004 is a 2.65 lb per ft3 density, closed cell, plural component, polyurethane foam designed for masonry cavity fill and other void filling applications. It is formulated for use where building codes specify 25 flame spread and less than 450 smoke density based on ASTM E-84 test procedure. Complete technical data on these products can be found here.